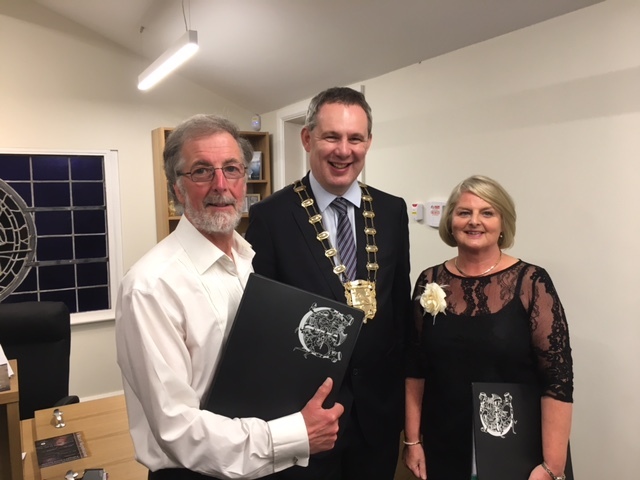 Enchiriadis Treis Chairman Paul Hanna and Vice-Chair Maria Farren welcoming the Lord Mayor of Fingal, Cllr. 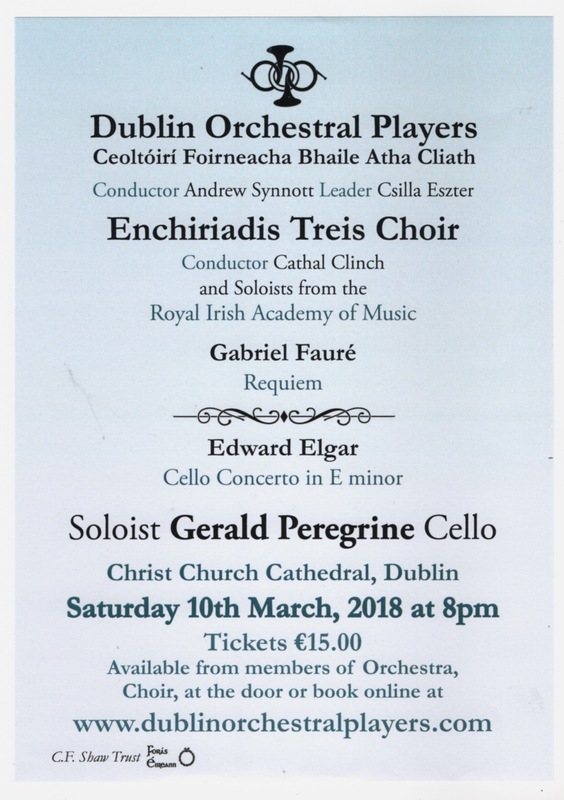 Darragh Butler to our Seabury concert. 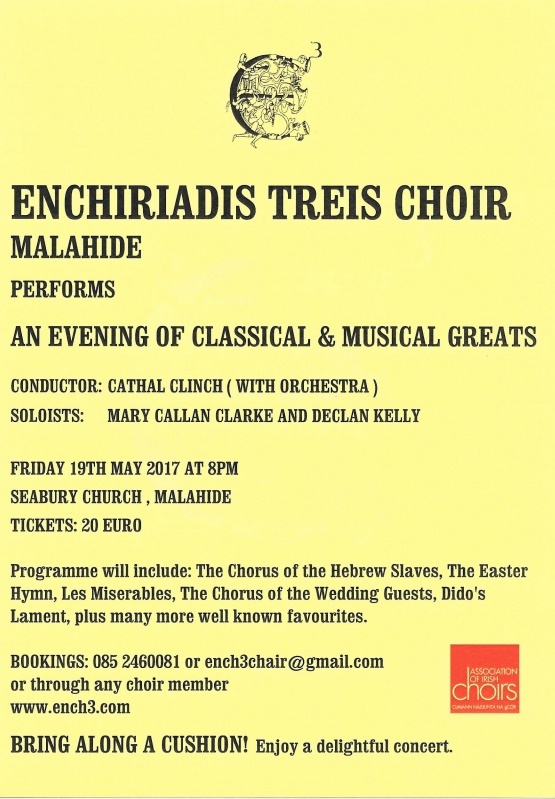 Choir performing at Seabury Church,Malahide on 19th May 2017. The choir resumed rehearsals in September in preparation for our Winter 2016 and Spring 2017 programme. 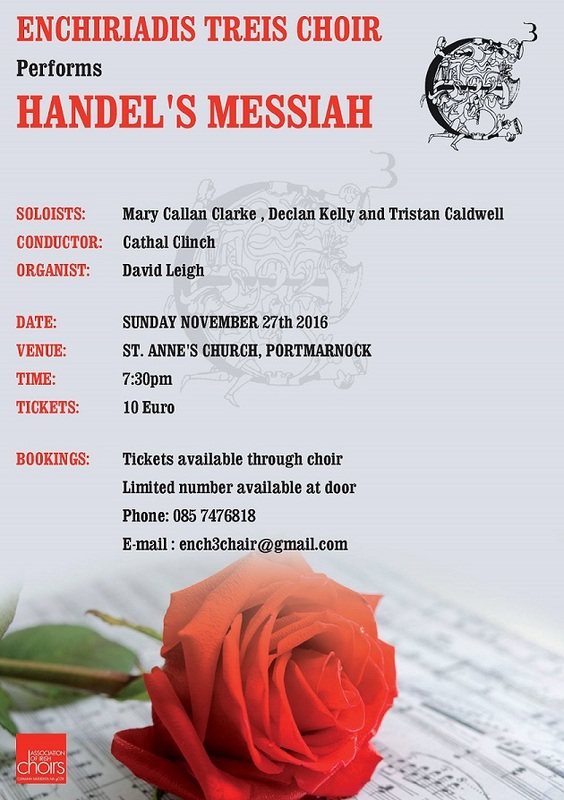 Our first event will be a performance of Handel’s Messiah in St. Anne’s Church in Portmarnock on Sunday 27th November at 7:30pm. 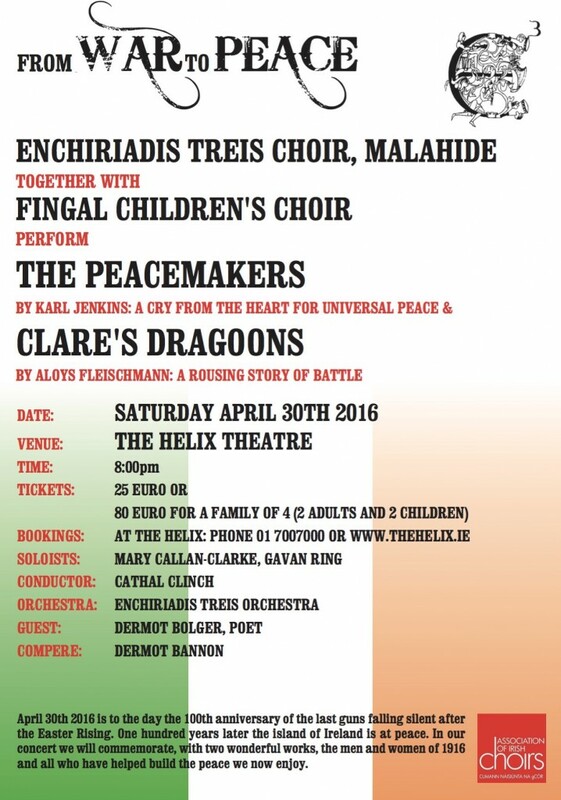 Our soloists on the evening will be Mary Callan Clarke, Declan Kelly and Tristan Caldwell. David Leigh will be our organist and our conductor will be Cathal Clinch. 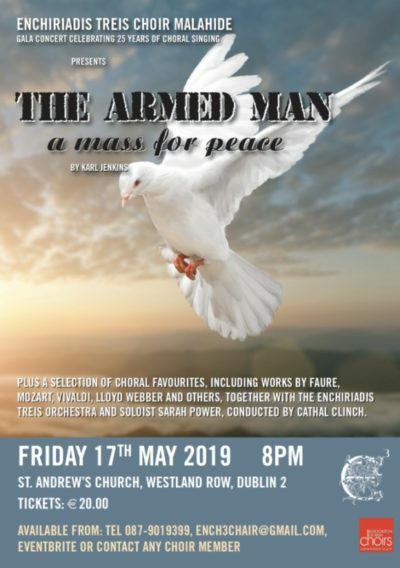 It will be a great way to start off the Christmas season and tickets are only €10. If you are familiar with the piece why not bring along your score and join in with us from your seat. On Friday 9th December we will be singing Christmas carols and choruses from the Messiah in Seabury Church, Malahide. As always, over the weekend before Christmas we will be carol singing around Malahide for charity. This years chosen charity is the Malahide Lions Club Christmas Appeal.